Gordon collected a great donation this week! 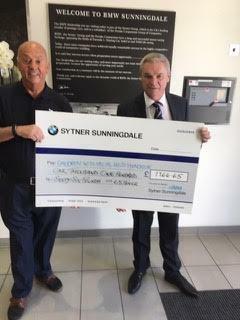 Thanks to Rob Sims and Sytner BMW for their continued support of CWSNF! The difference every pound makes is huge to our children, and having the support of highly regarded local companies like Sytner makes us feel very humble.